Courtesy of Southern Illinois University Press. 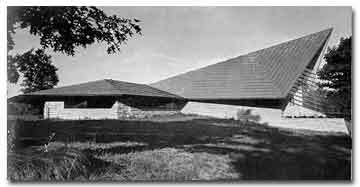 When I arrived in August of 1952 to take up my ministry in Madison, the congregation of the First Unitarian Society was still settling into its striking new Meeting House designed by its illustrious member Frank Lloyd Wright. The congregation had occupied the still unfinished Meeting House much earlier, having held the first service there on February 4, 1951. 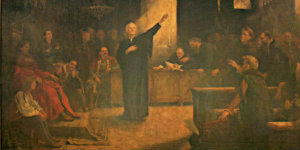 On that Sunday morning a special dedicatory address was delivered by another distinguished member of the Society, the philosopher Max Otto, who chose as his title “To Own or Be Owned?” His words were a challenge to the congregation to be worthy of its new Meeting House, to match the imaginativeness and beauty of the building with a quality of congregational life that would reflect intellectual boldness and ethical sensitivity. During that first year I met Mr. Wright on several occasions. While I have no claims to be an expert on Mr. Wright, surely not on his architecture, I did enjoy the great privilege of knowing him and of having been his minister during the last seven years of his life. Mr. Wright was not merely a member of our Society in Madison; he was part of a family with deep roots in Unitarianism on both sides of the Atlantic. His father, William Wright, was secretary of our Madison congregation when it was organized in 1879. 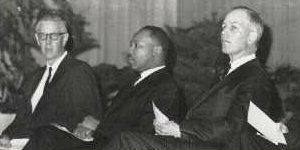 Mr. Wright, a widower with three young children, had been, among other things, a music teacher and a Baptist minister. He had met Frank’s mother, Anna Lloyd Jones, when she was a country school teacher and he the superintendent of schools for Richland County. Frank, their first child, was born in Richland Center in 1867. Three years later, now with a year old daughter as well, they began a series of moves that culminated in Mr. Wright’s acceptance of a Baptist pulpit in Weymouth, Massachusetts. Wright and apprentices, 1938. Courtesy Horizon Press. When William resigned his pastorate in Weymouth after only three years, he did so as a Unitarian. William and Anna and their children returned to Wisconsin to be near the supportive family out in the valley near Spring Green. They soon settled in Madison, and it is scarcely surprising to find them among the little band who organized our congregation. Frank Lloyd Wright credits his mother with bringing the new light of transcendentalism, the work of Emerson and Parker, back with her from their years in Weymouth. 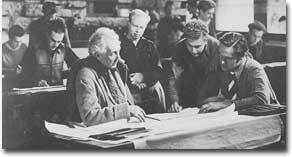 Thus did Frank Lloyd Wright honor his heritage from those deeply religious forebears who believed in freedom and in tolerance along with their unshakable faith in the goodness of God. How did he respond to all this, what impact did it have on him in his later career? 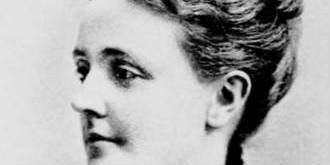 How was he touched by Uncle Jenkin and his transcendentalist friends, the “Unity men,” who held high the banner of “Freedom, Fellowship and Character in Religion”? 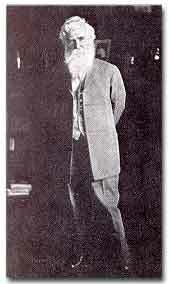 Uncle Jenkin, whose sermons had a significant influence on the development Wright’s religiosity. Courtesy Horizon Press. In the years I knew him Mr. Wright was not a regular or even frequent church attender, but he did come on occasion. My colleague Dr. John Hayward, who taught for some years at our Meadville/Lombard Theological School in Chicago and later at the University of Southern Illinois, spoke from our pulpit one Sunday. Dr. Hayward’s principal professional interest has been in the relationship of religion to the visual arts. On this occasion he chose to describe our building as he saw it. Dr. Hayward spoke that Sunday on “The World of This House.” What view of the universe, he asked, did this Meeting House disclose? 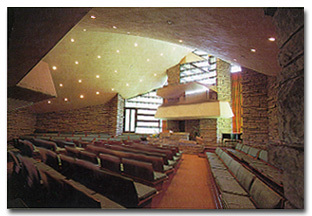 Interior of the sanctuary of the Unitarian Church at Madison. Courtesy Phaidon Press. A view from below of main sanctuary glass wall. Courtesy Phaidon Press. 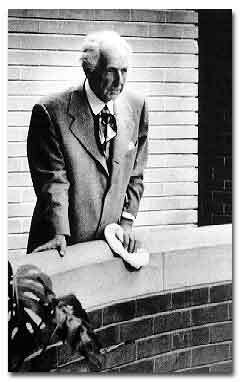 Although Mr. Wright did not come often to Sunday services, he stopped by unannounced to visit the building many times. Mr. Wright would come in, not on a tour of inspection but to experience the building yet again. He would sit quietly for a few moments on one of the benches, then go up to the prow and gaze out toward Lake Mendota over what was then a cornfield managed by the College of Agriculture. At such moments there could be no question of his special attachment to that place. It was in every way his church. 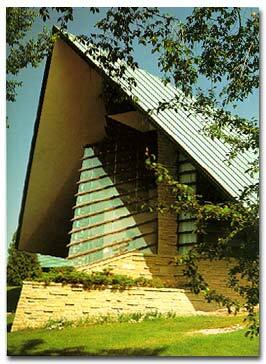 There is something very right in our gathering here in this chapel to pay tribute to Frank Lloyd Wright. His life and work spanned the globe, yet those most intimate bonds of loyalty and affection by which he was united with his native earth are poignantly focused at this place, a place as dear to him as it is filled for us with precious memories and with living hope. Here we cannot but sense something of that clean simplicity of thought and form, that unflinching honesty of word and deed, that unfailing sensitivity to the monitions of beauty which, like the tranquil loveliness of this familiar valley surrounded by the sheltering hills, provided the true setting for his life. — From an address delivered before the Friends of the Meeting House, October 27, 1992. Wright’s parents were among the earliest members of the Unitarian Society when it was organized in 1879. Wright participated in the church’s Contemporary Club as a youth and later signed the membership register. He accepted the commission to design the new edifice in 1946; the church was essentially completed in 1951, often with the help of the Taliesin Fellowship (particularly in the final weeks before dedication), fund-raising speeches by Wright, and an army of parishioners who willingly hauled the limestone from a quarry 30 miles away. Marshall Erdman, who later became involved in Wright’s last prefabricated housing projects became the major contractor because local firms, finding Wright’s construction methods too radical, did not want to bid on the project. Profile of the Unitarian Church at Madison, Wisconsin, 1951. Courtesy Horizon Press. The module employed is the equilateral parallelogram (popularly called “diamond”) with a unit side of 4 feet scored into the concrete floor. This diamond shape is repeated in the largest forms of the building – the main auditorium with the hearth room behind – as well as smaller elements such as the stone piers. The original building covered approximately 11,500 square feet. The copper roof rises from the hearth room to a prow (called belfry on the plans); in later years, Wright would offer that, at the exterior, the belfry suggested hands held together in prayer. This design also obviated the need for a separate steeple. The copper originally laid on was thinner than specified, to save on cost, and thus led to brown rot infection of the supporting wood members of the hearth room, repaired in 1977-78. Trim is oak. A loggia-gallery with Sunday school rooms has been converted to offices. The last Wright-designed part of the building, the west living room, was originally intended to be the living room of a parsonage, though it was never completed as such. The education wing beyond the west living room is by the Taliesin Associated Architects. This structure has been designated by the American Institute of Architects as one of the seventeen American buildings designed by Frank Lloyd Wright to be retained as an example of his architectural contribution to American culture. Against threatening forces of Nature and the merciless passions of our fellow men, only a cultivated sense of organic form can build for democratic man an appropriate state, a deeper – therefore stronger- culture than mankind has yet known. The one word necessary to deal with reality is ‘organic’ – but like the word Nature it is the word least understood of any root-word in English. The cult of the Unitarian abstraction is now salvation. But if divorced from realities it, too, is bound to produce failures, so let us turn the dogma – “Form Follows Function” – inward. Use both the word organic and the word Nature in deeper sense – essence instead of fact: say form and function are one. Form and idea then do become inseperable; the consequence not material at all except as spiritual and material are naturally of each other. 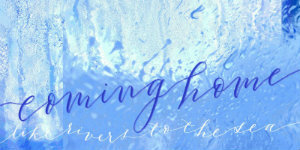 The freedom of the new romance? 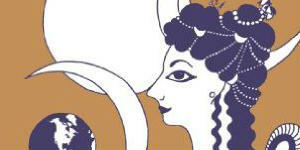 Well… you will not find it in Grecian art or mythology. Find it inside the modern democratic man : “what a man does – that is his.” His vitality as an individual is his reality in the new romance: his honor and therefore the basis for creation. 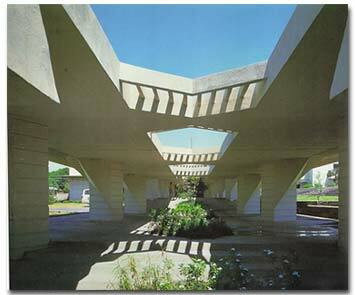 Organic architecture comes with that romantic reality to you today. As a man is, so must he build. Just as a nation builds – so that nation is. We have the buildings we deserve to have either as men or as man. 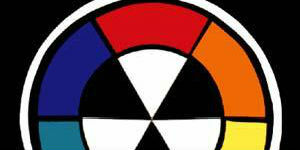 There are many ways in life to conceal a man’s true nature, but when he builds he cannot hide. You have him as he is. — Abridged from “The Unitarian Principle as Architecture” in Genius and Mobocracy by Frank Lloyd Wright (New York: Horizon Books, 1971). Fallingwater. 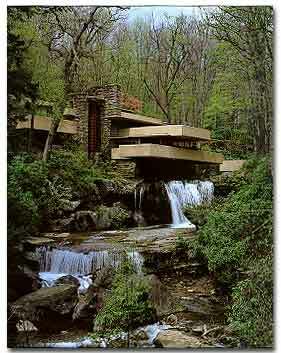 From Fallingwater: A Frank Lloyd Wright Country House by Edgar Kaufmann Jr. (New York: Abbeville Press, 1986). Unity Temple. From Frank Lloyd Wright: Architect by Robert McCarter (London: Phaidon Press, Ltd., 1997). The Robie House. From Frank Lloyd Wright: Architect by Robert McCarter (London: Phaidon Press, Ltd., 1997). Florida Southern College. From Frank Lloyd Wright: In the Realm of Ideas edited by Bruce Brooks Pfeiffer and Gerald Nordland (Carbondale, IL: Southern Illinois University Press, 1988). 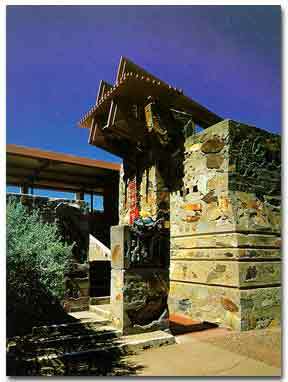 Taliesin West. From Frank Lloyd Wright: In the Realm of Ideas edited by Bruce Brooks Pfeiffer and Gerald Nordland (Carbondale, IL: Southern Illinois University Press, 1988). The Guggenheim Museum. 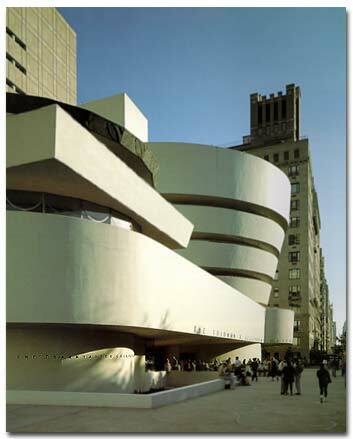 From Frank Lloyd Wright: Architect by Robert McCarter (London: Phaidon Press, Ltd., 1997). Heinz, Thomas A. 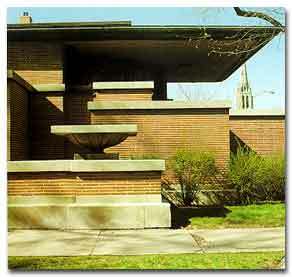 The Vision of Frank Lloyd Wright . Edison, NJ: Chartwell Books, 2000. 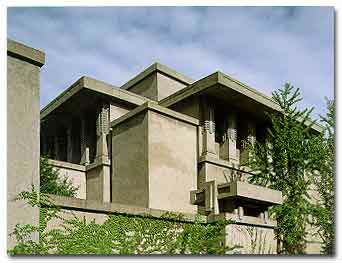 Lloyd Wright, Frank. Genius and Mobocracy. New York: Horizon Books, 1971. McCarter, Robert. 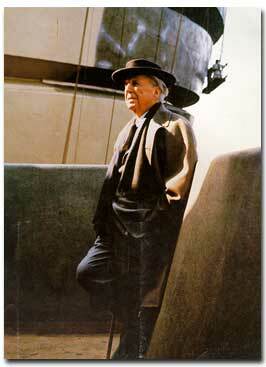 Frank Lloyd Wright: Architect . London: Phaidon Press, Ltd., 1977.